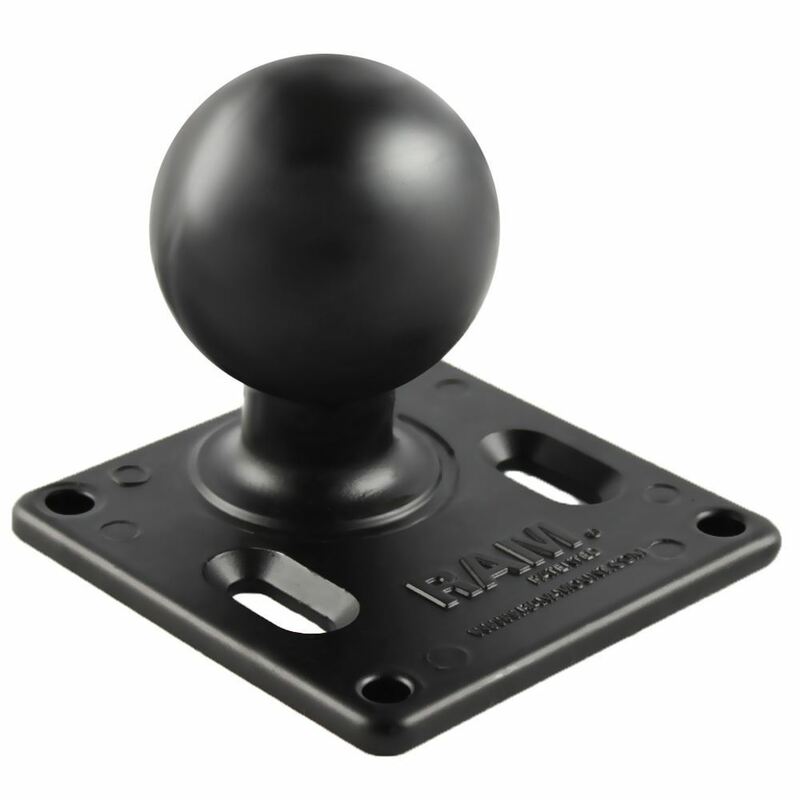 The RAM-D-2461U 75x75mm VESA 3.6" Plate with 2.25" Ball features a 2.25" rubber ball attached off-centre to a 3.6" square base with 75mm x 75mm VESA hole pattern. The RAM-D-2461U RAM 75 X 75mm VESA 3.6" Plate w/ 2.25" Ball from the RAM Mount Bases range is made up of a square plate sized 3.625” built with a 75mm x 75mm VESA hole design, joined to a 2.25” rubber ball. This product is professionally powder coated with marine grade aluminum. The rubber ball is approximately placed 0.88” from the middle of one side of the product.